The Condes d’Óbidos Palace was built by D.Afonso de Mascarenhas in a place called "Rocha de Conde d’Óbidos". It is a construction that dates back to the second quarter of the 18th century. 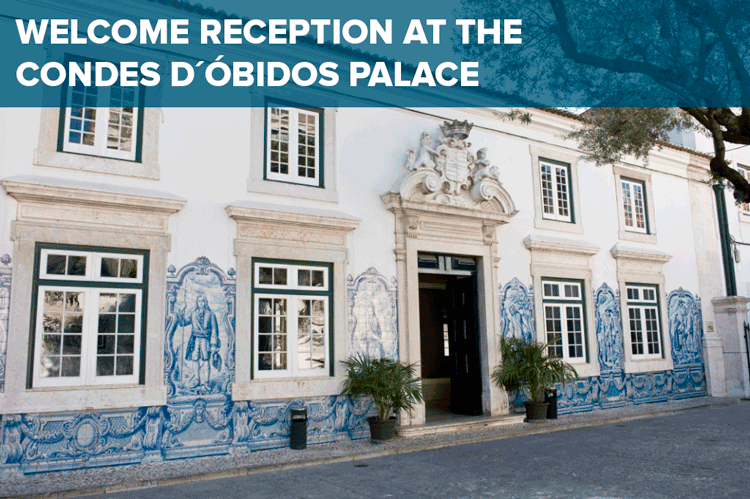 At the end of the 18th century the Palace was completely rebuilt by D.Vasco de Mascarenhas, Lisbon alcayde, who was the first Earl of Óbidos, a General in the national independence Restoration Wars. During the earthquake in 1755 the palace belonged to the third Earl of Óbidos, D.Manuel d’Assis Mascarenhas.The building was damaged and therefore the fourth Earl - D.José d’Assis Mascarenhas sold it in an auction. It was then bought by a Spaniard for 12.000 escudos. King D.Luís afterwards bought it for the same price and gave it to D.Maria Tereza de Mascarenhas, sister of the 8th Conde d’Óbidos and teacher of the princes D.Carlos and D.Afonso. The main floor was rented to the English Club in the beginning of the 20th century, and in 1903 King Edward the 7th was welcomed there during an official visit to the Lisbon court. In 1919 this Club was bought by the Portuguese Red Cross Society for the price of 65.000 escudos. The Condes d’Óbidos Palace, one of the most remarkable Lisbon buildings, with richly decorated rooms, has been the headquarters of the Portuguese Red Cross since 1924. Located in an old neighbourhood of Janelas Verdes, it was constructed on a rock called “Rocha Conde d’Óbidos”. From the varanda there is a beautiful view over the river Tagus, the 25th April bridge, the dockyards, and the Alcântara fluvial station. Across the river there is a city of Almada with the “Cristo Rei” monument. * The ‘TIC Talks’ is a plenary session comprising short discussions/presentations to give a brief introduction to each of the topics which follow in breakout rooms (Parallel Presentations) on the next section of the programme. Please, bear in mind that this is not a final version of the programme and some changes might occur in the upcoming weeks.